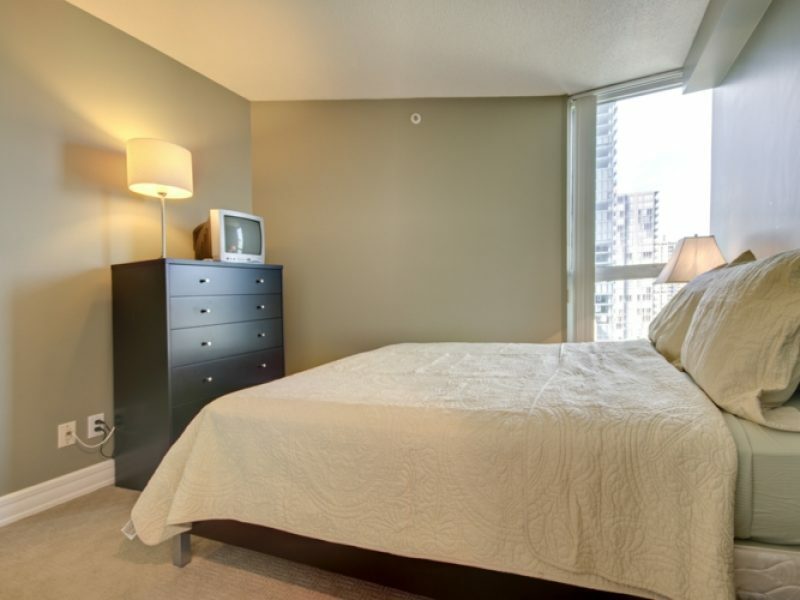 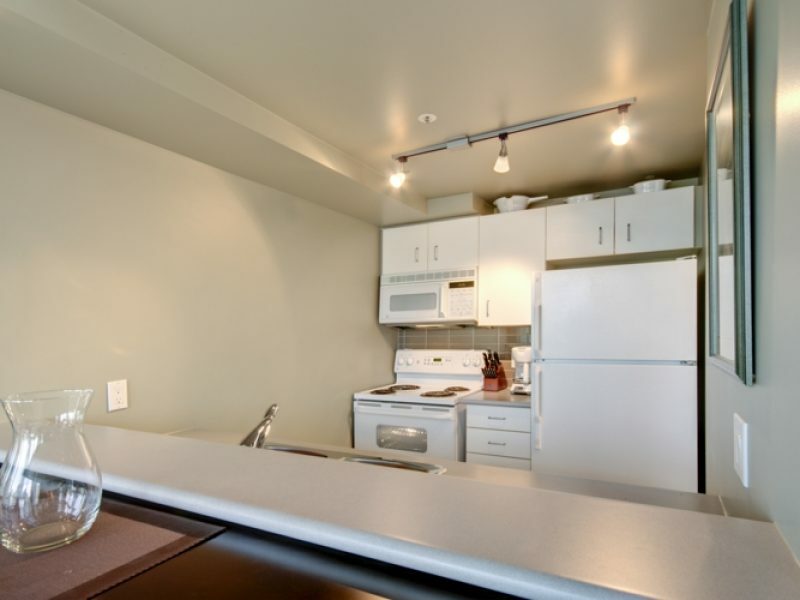 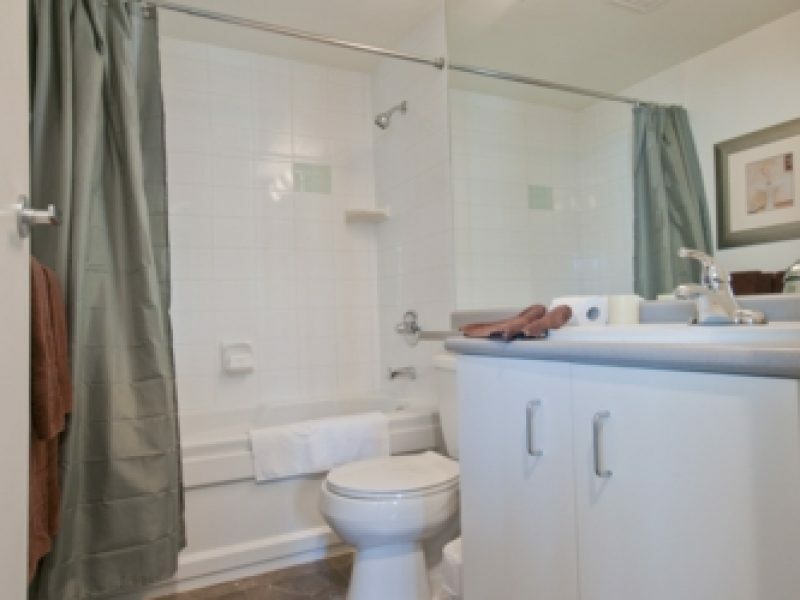 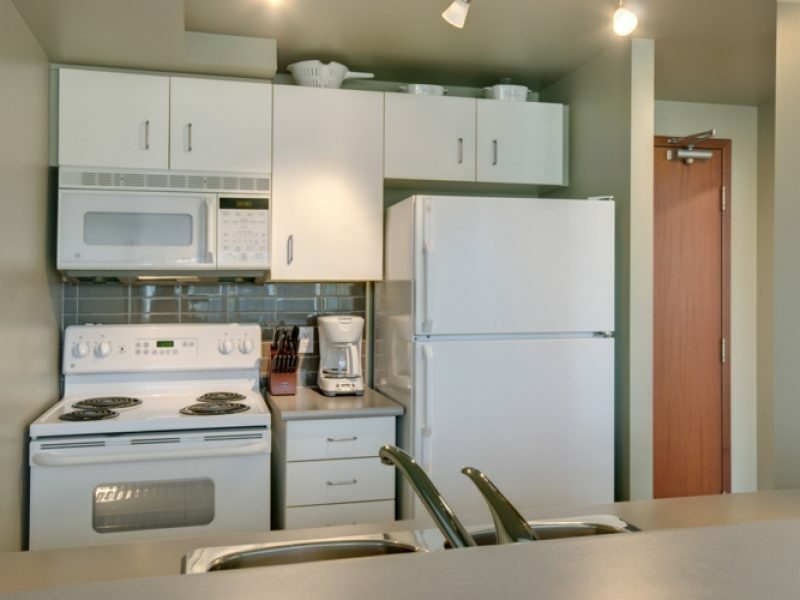 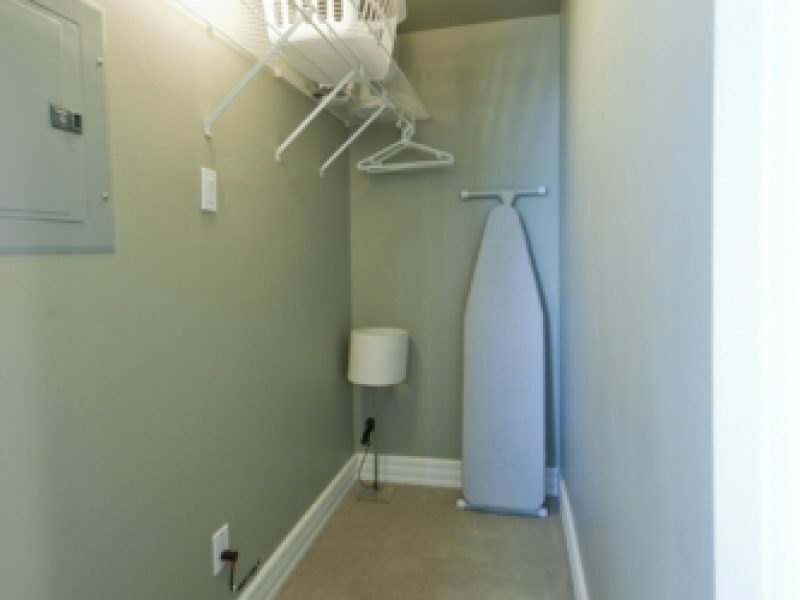 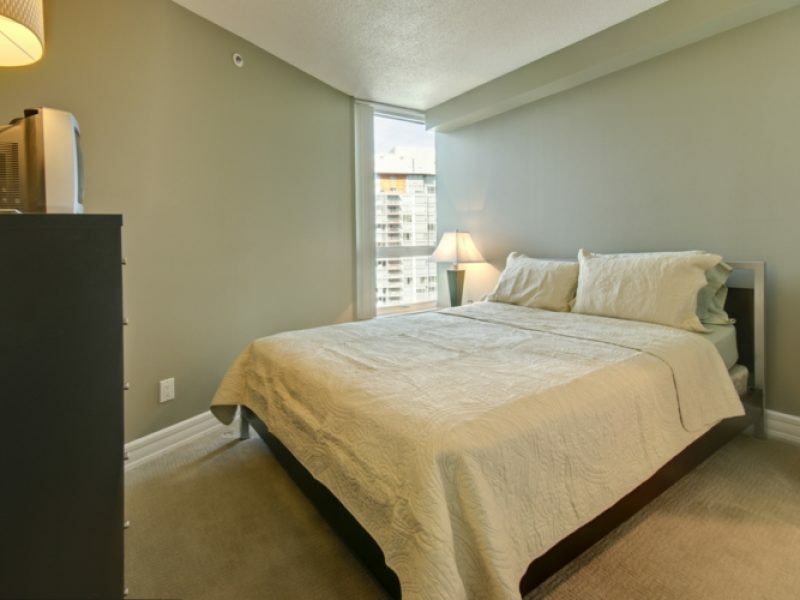 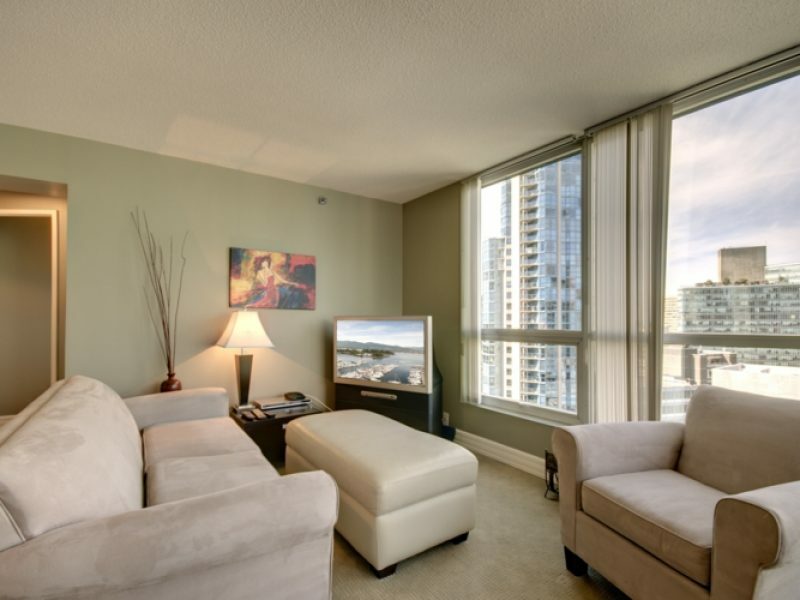 One bedroom condominium apartment, with in suite storage room / computer room, in a newer 34 story high-rise tower. 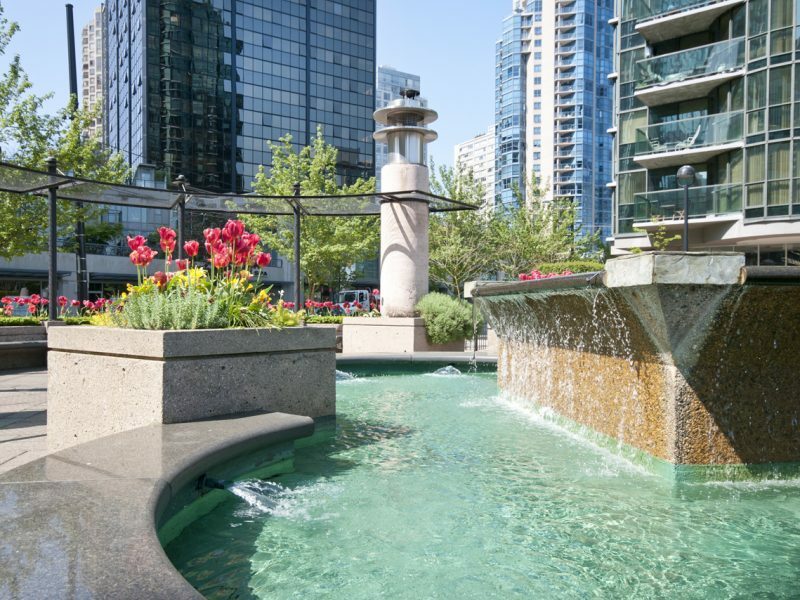 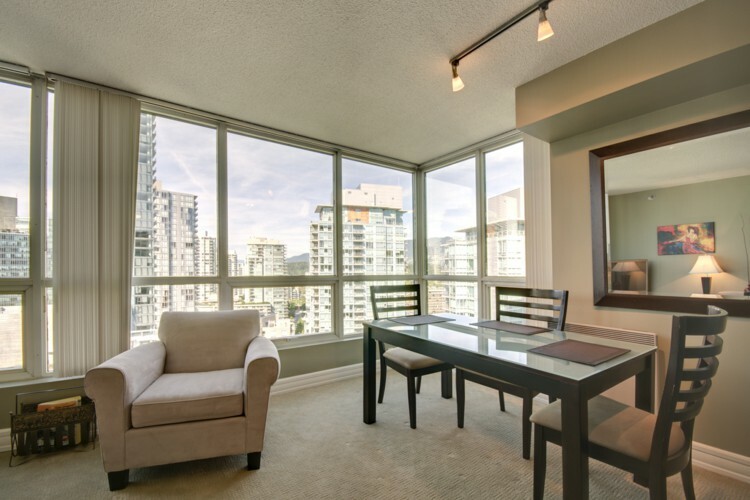 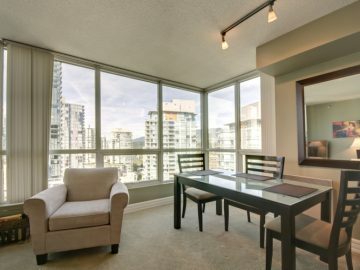 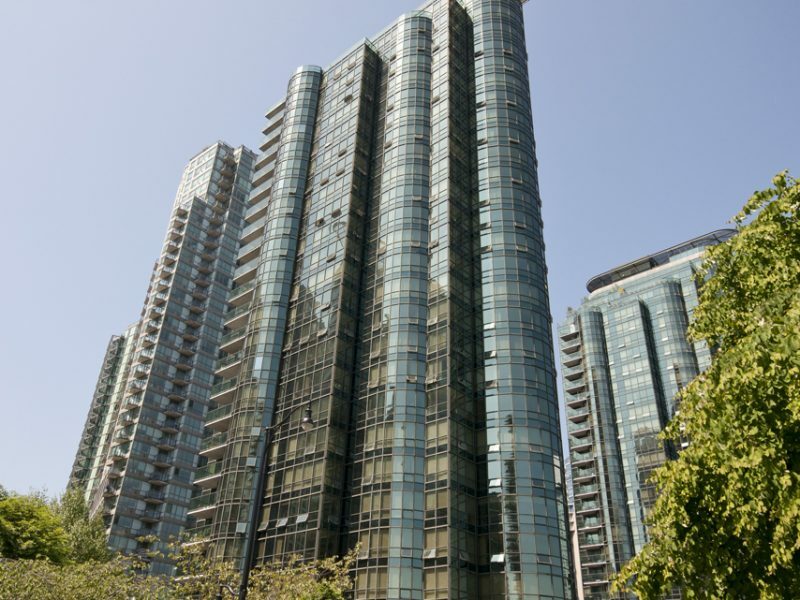 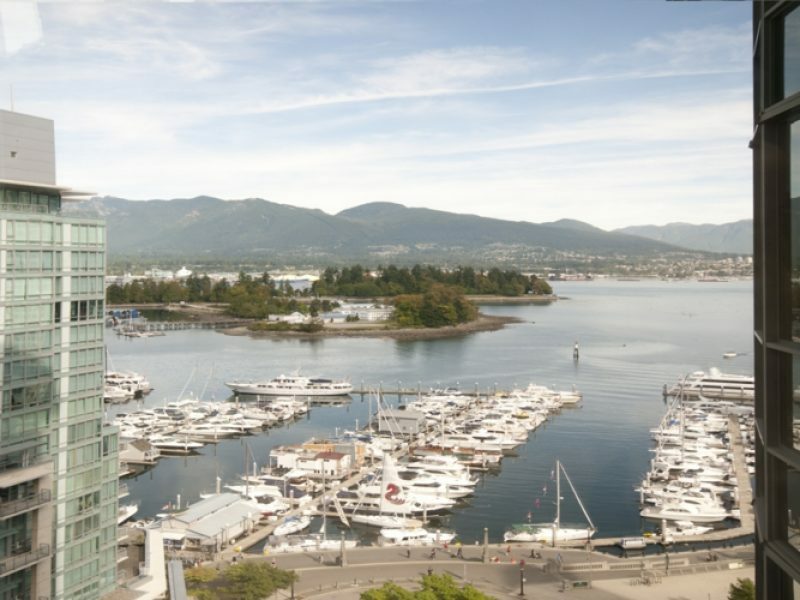 • Adjacent to Coal Harbour, with a spectacular water view of Burrard Inlet and the North Shore mountains. 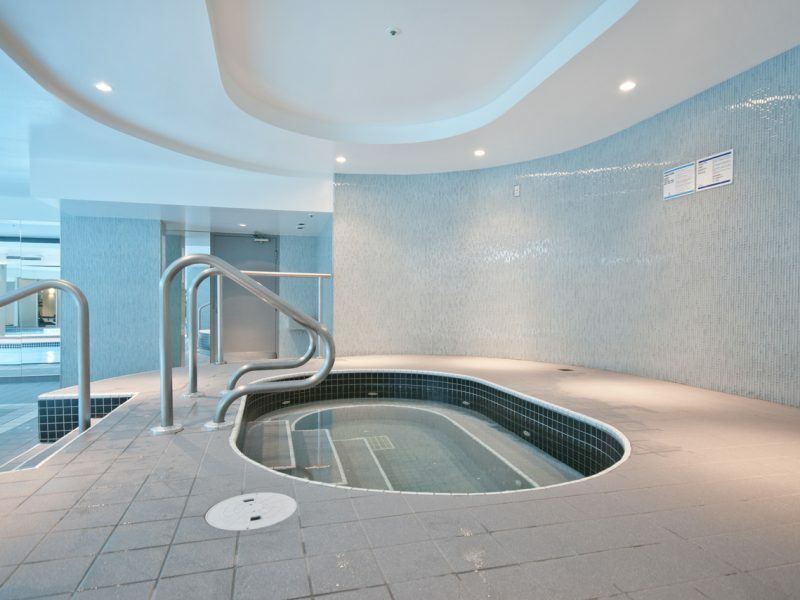 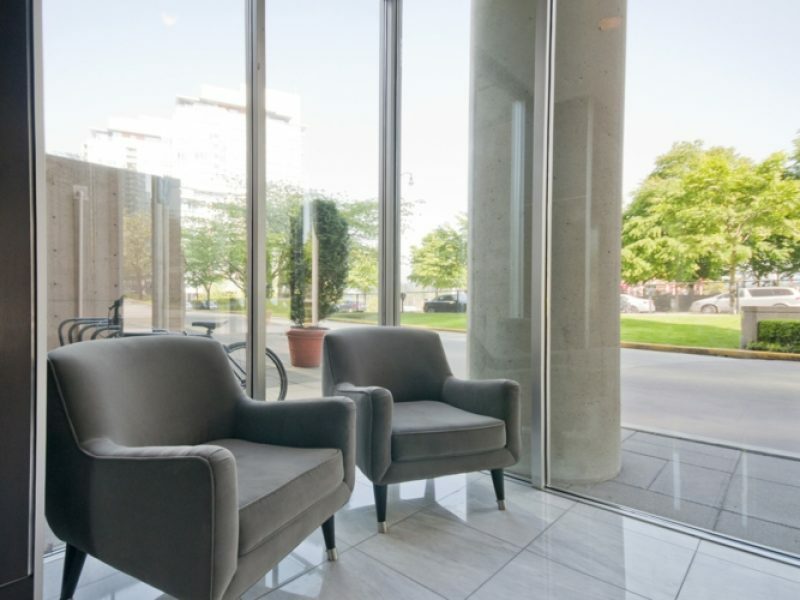 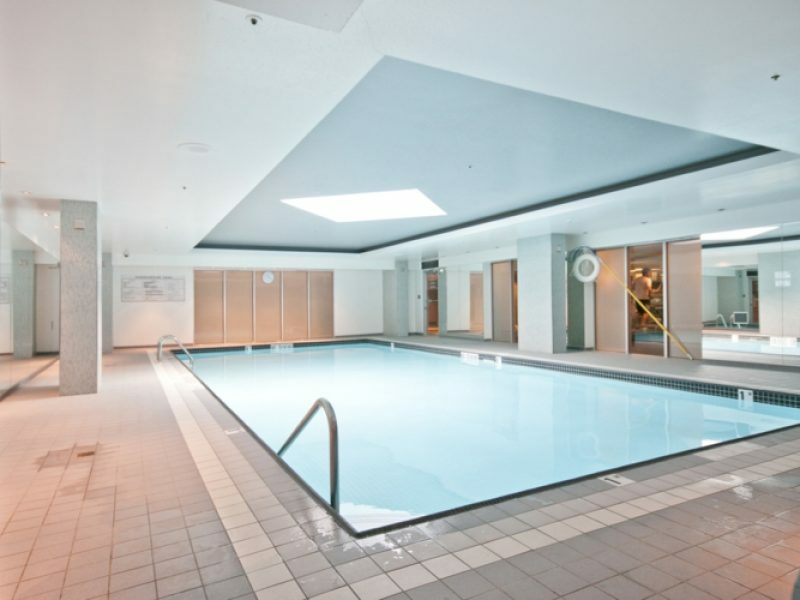 • High security elevators, swimming pool, fitness and weight room facility. 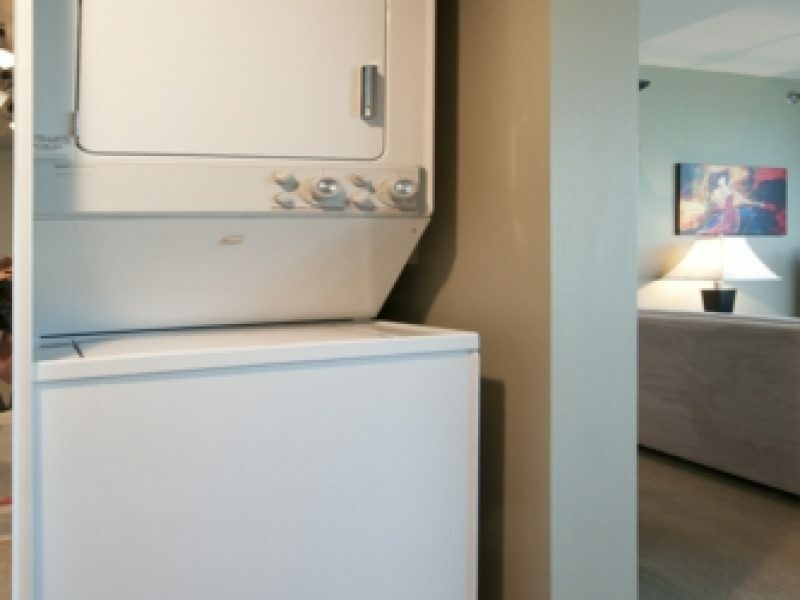 • A fridge, stove, microwave, dishwasher, garburator, and washer / dryer. 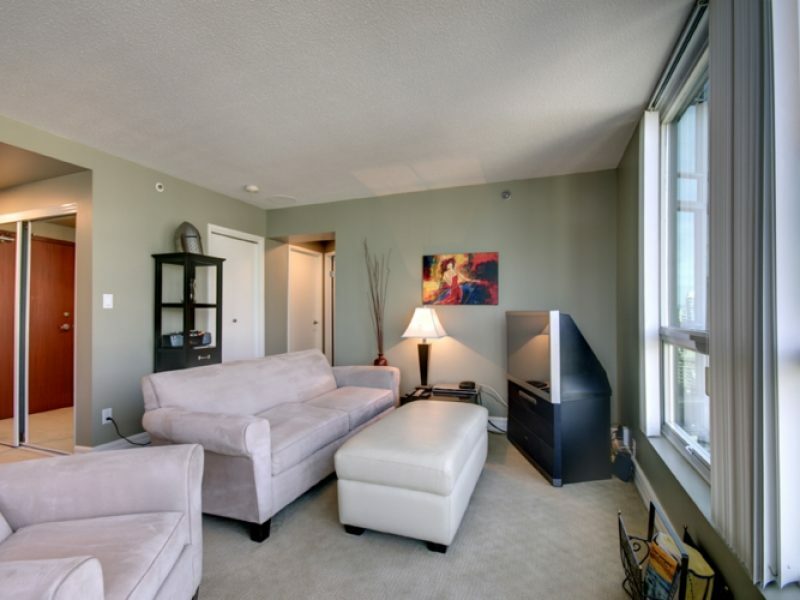 32″ LCD TV, high-end microfiber sectional couch & leather arm chair in living room.